The Ladies' Guide to Surviving Anypocalypse: Which one is the penicillin? Don’t ignore the homeopathic information. I know it’s all New Agey and that crazy lady down the street who called herself a witch despite her distinct lack of green skin, hooked nose, and wart problem went on about homeopathy if given half of what looked like a chance (from a distance; if you squinted). Despite the woman coming off as a crackpot sometimes, she had a point. All medicine started with homeopathic remedies. While the homeopathic remedies sold in stores have little if any of the medicinal parts in them, the concept of using plants and fungi to improve one's health is sound. Certain plants and their fruits are good cleaning agents. For example, the acids in lemons and other citrus fruits are highly effective against household bacteria. Other plants can disinfect wounds and kill bacteria. Do your research though. The cliché about a little knowledge being a dangerous thing is particularly relevant here. Take Foxglove. Digitalis medicines, which are a type of heart medication, are made with the plant. They help to regulate heart beat. One might think that Foxglove found in the wild would do the same. One would be wrong. 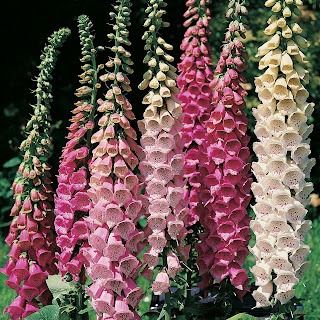 Unprocessed Foxglove is extremely toxic. Ingestion causes terribly unpleasant symptoms ranging from stomach distress, hallucinations, tremors, and even death. With the right research, you can save Gilly from a painful infection and possibly deadly side effects. How will you save Gilly? Tell us in the comments! Well it's never a good idea to give or take in medication which you have no idea about. This is true even for mild antibiotics. There is nothing bad at all when you resort to alternative medicine as long as it has been practiced by a good volume of "believers" who have at least benefit from its wonders.